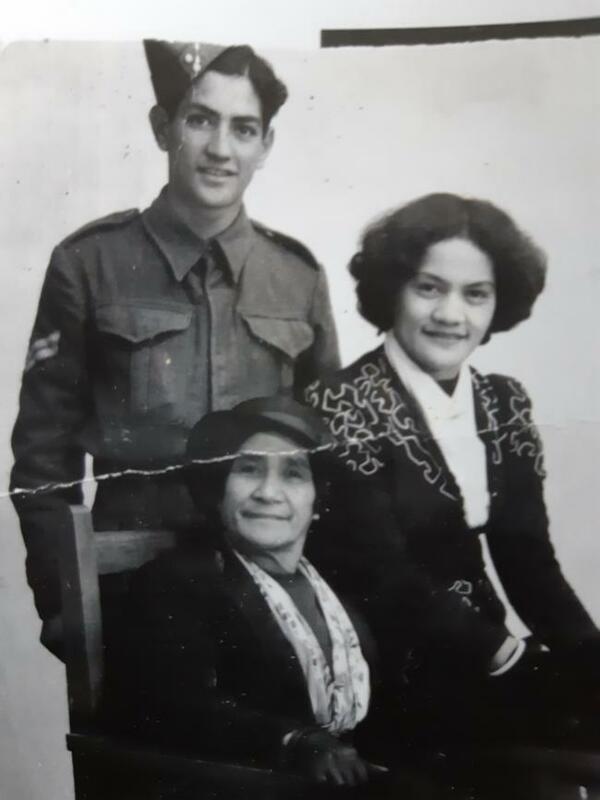 Percy Marunui Murphy with his mum and sister. Following the war, Percy was a successful businessman, community leader, serving the new Murupara Borough Council and becoming the first Maori mayor, elected for three consecutive terms from 1960 to 1969. He was an active member of Rangitahi Marae and in Ngati Manawa affairs. Family collection. Courtesy of Vicky Adnams and Gary Woolf.